In room fitting/measuring or roundtrip transportation to and from hotel to our store. Hello and welcome to our Las Vegas tuxedo rental website and store. Tux One has been in business in Las Vegas since 2000 as a family owned small business offering the latest trends in men’s and women’s formal wear with tuxedo and suit rental prices ranging from $79 to $179. We are a full service Las Vegas tuxedo and suit rental men’s store with the lowest prices and best service in the industry both online and in store. In our Las Vegas tuxedo rental store we offer grey tuxedo and suit rentals, blue and navy tuxedo and suit rentals, red tuxedo and suit rentals. Paisley and velvet tuxedo and suit rentals, white and ivory tuxedo and suit rentals and of course many designer styles of black tuxedo and suit rentals. We rent and sell tuxedos and suits for homecoming, prom, black tie events, weddings, receptions, dinner parties, cruises, and all other formal and semi formal events. 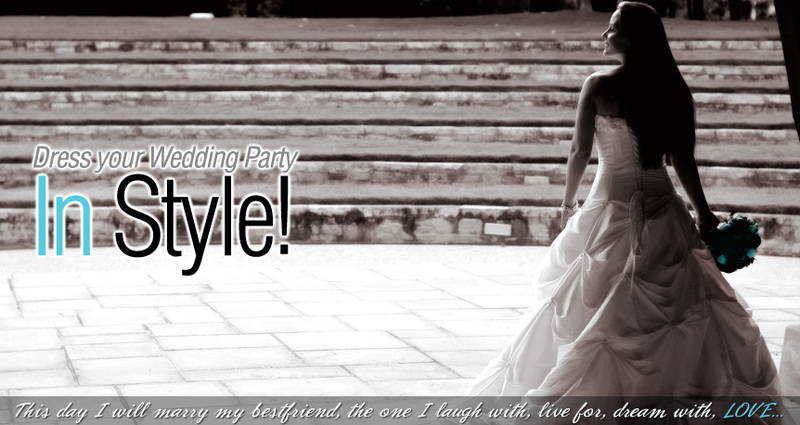 We offer classic fit, modern fit, slim fit and ultra slim fit suits and tuxedos in all colors, styles and designers. We also carry Pacheco suits, zoot suits formal costumes all in our west side Las Vegas Tux One rental location. If you are looking for tuxedo shirts, tuxedo pants, tuxedo vests, tuxedo accesories, tuxedo jackets, neck ties, bow ties, cummerbunds or studs and cuff links they are always in stock and ready to go. If you are looking for a low price or cheap tuxedo rental in Las Vegas we also offer a black microfiber complete package tuxedo rental for $79. We offer special wedding packages for the bride and groom and the entire wedding party with military and senior discounts. 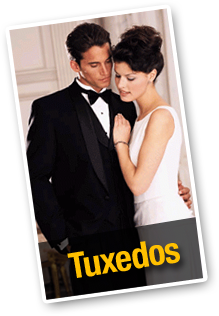 Rent 5 tuxedos in our Las Vegas tuxedo rental store and receive the 6th tuxedo rental free. Our Las Vegas tuxedo and suit rentals are offered through Jims formal wear and we carry designers such as Michael Kors, Ike Behar, Hugo Boss, Calvin Klein, Georgio Armani, Tony Bowls, Stephen Geoffrey, Ralph Lauren, Allure, Lord West and After Six. If you are looking for a low price tuxedo rental or purchase you can visit our sites on amazon and eBay under the names TuxOne and TuxOneDeals. Thank you for your interest in Tux One in Las Vegas. Las Vegas Largest Tuxedo Rental Store. We carry over 3000 tuxedos in stock. All products are Trademarked and/or Registered to their respective companies and/or Owners. Tux One cannot be responsible for typographical errors in specifications or pricing, or for price changes due to supplier price changes.